WHENEVER YOU NEED US, WE’RE HERE 24/7 TO HELP WITH ALL YOUR ELECTRICAL NEEDS! GEM – Generation Electrical Maintenance is built on a foundation of trust, knowledge and reliability. We plan on creating a cleaner and greener future. Our vision is to take pride in being a company that succeeds through word of mouth, we see the relationships with our customers as the key to our future. We will always deliver on our promises, provide a superior quality of work and guarantee our safety and reliability. Our long term vision is to make people more aware of their energy consumption and how this can be reduced to benefit themselves and the environment. This can be achieved by offering more energy efficient solutions and better quality products. 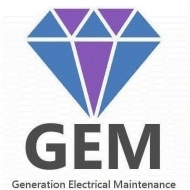 GEM offers a wide range of electrical installation and maintenance services. There is no job too big or small and we pride ourselves in providing a complete service to all of our customers. We can provide our services at homes, offices, rental properties, office fit outs, shop fit outs, factories and new homes. GEM – Generation Electrical Maintenance are a small local business of electricians in Perth, servicing many parts of WA, Perth and surrounds. Known for their quality of work and high standards, Generation Electrical Maintenance only use the highest of quality products and take the time to get the job done right. The staff at Generation Electrical Maintenance have been in the industry for many years working in a variety of electrical fields and are confident in their ability to maintain the high standards and to follow procedures for a safe environment, each and every time. There is no job too big or small and we pride ourselves in providing a complete service to all of our customers.